June 2012. Understanding oceanic flows in the Gulf of Mexico could be a game changer for emergency responders the next time there is an oil spill. Responders need quick, reliable information to figure out where oil goes and how fast it gets there. Yet advancement in predictive accuracy requires ambitious and innovative science. Fortunately that science is happening now. With a Gulf of Mexico Research Initiative (GoMRI) award, the Consortium for Advanced Research on Transport of Hydrocarbon in the Environment (CARTHE) led by Dr. Tamay Ӧzgökmen at the University of Miami (UM) is conducting the largest-scale experiment of its kind in the Gulf. 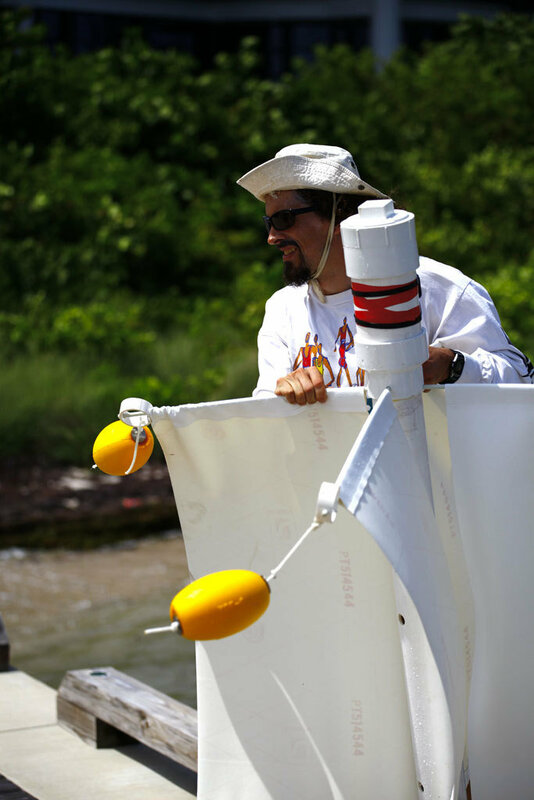 This summer over the course of a week, Dr. Brian Haus (UM) and his research team will deploy 300 custom-made drifters near the Deepwater Horizon site and Louisiana coast. The release of drifters, known as the Grand Lagrangian Deployment (GLAD), is an essential first step to study the complex and elusive surface ocean currents that transport pollutants. Using GPS satellite positioning, the specially designed drifters will report their positions every five minutes – a rate not achieved before in an experiment of this magnitude. The Naval Research Laboratory is supplying thirty-two realizations of Navy Coastal Ocean Model (NCOM), running at one and three kilometer resolution to provide seventy-two hour forecasts. CARTHE investigators will use a fully coupled ocean-wave-atmosphere modeling system for real-time data processing. These detailed data are essential in determining more precisely where the drifters will be launched according to ocean features. 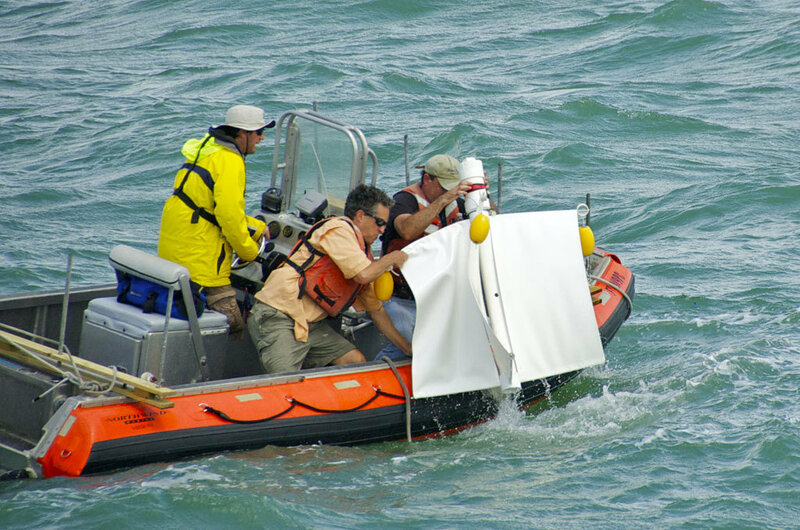 In preparation for the drifter deployment, CARTHE research teams conducted virtual experiments using satellite and modeling data to improve their decision-making process in selecting the best locations to release the drifters – a critical component for the success of this project. To determine launch sites for the live deployment, researchers will rely on real-time ocean feature and conditions data. In addition to virtual experiments, members of the CARTHE research team conducted a trial run to assemble and launch drifters in preparation for the deployment experiment. 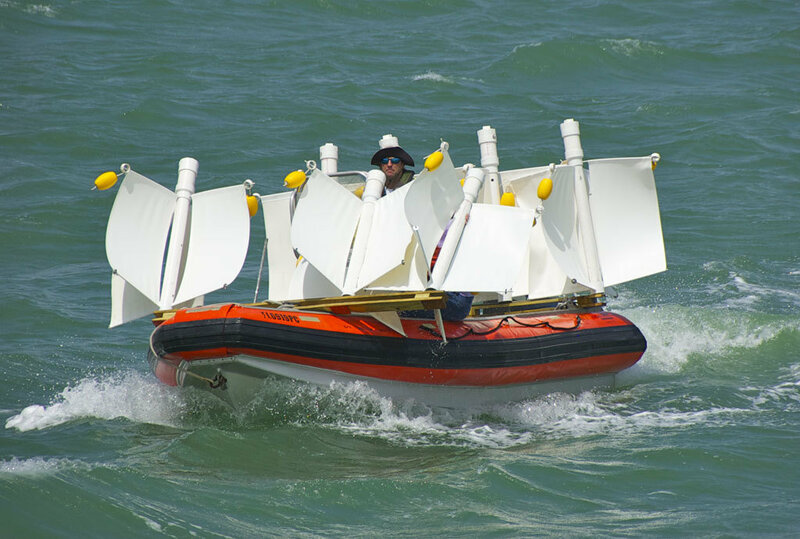 CARTHE Drifter Test – Key Biscayne, Florida from CARTHE on Vimeo. Five graduate students and one post-doctoral fellow are involved with the drifter project. These students’ hands-on research will help build next-generation experts in Gulf of Mexico research. CARTHE will have two research cruises to collect the data they need to improve predictive models. 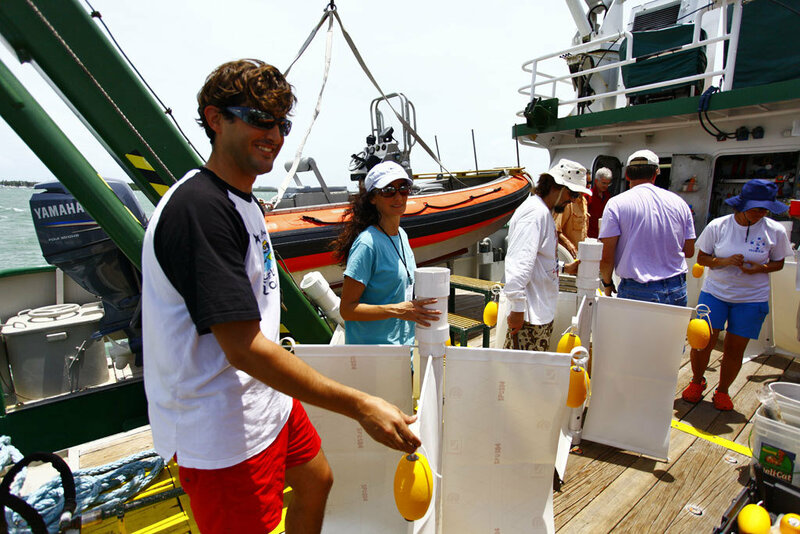 Dr. Haus will lead the drifters’ deployment onboard the R/V Walton Smith. Dr. Brad Rosenheim at Tulane University will lead sediment and water sampling along select Florida panhandle beaches onboard the RV Pelican. 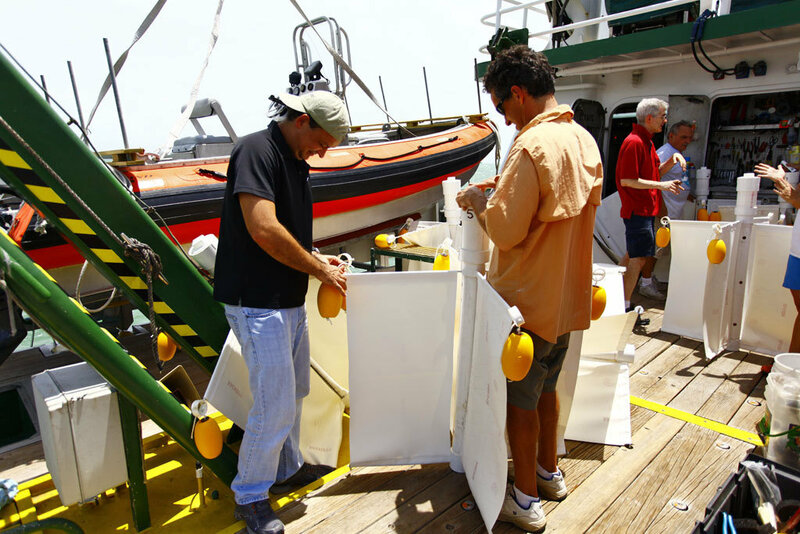 Data from the drifters will help scientists understand the role of near-surface ocean flows in spreading and dispersing oil. Researchers will study interactions among ocean flows, the levels of influence on transport that large and small flows have, the size of oil spread at which large flows dominate, and the length of time that large flows control the direction oil will travel. Data from short sediment cores and water samples will help scientists verify the presence or absence of oil and the type of weathering that has occurred to the oil in both the sedimentary and shore-line water environment. Researchers will also learn about the contribution of old carbon or oil from other sources at different water depths. The CARTHE program includes twenty-six principal investigators from twelve research institutions in eight states. Together these scientists are embarking in a novel research direction, developing a suite of integrated models and state-of-the-art data assimilation that bridge the scale gap between existing models and natural processes. For the first time, CARTHE’s field work at sea, combined with laboratory experiments and development of interconnected modeling systems, will produce a comprehensive modeling hierarchy that provides a four dimensional description of oil/dispersant fate and transport in the Gulf of Mexico and coastal environments across all relevant time and space scales. This research was made possible by a grant from The Gulf of Mexico Research Initiative (GoMRI). The GoMRI is a 10-year, $500 million independent research program established by an agreement between BP and the Gulf of Mexico Alliance (GOMA) to study the effects of the Deepwater Horizon incident and the potential associated impact of this and similar incidents on the environment and public health.